Quick summary: In this lesson, students will explore steps that other schools have taken to increase their recycling and reduce landfill. Students then solve mathematical problems related to the number of items recycled to refine their understanding of the four mathematical processes (addition, subtraction, multiplication and division). This lesson is designed to provide practice for NAPLAN, the national literacy and numeracy test held in Years 3, 5, 7 and 9*. It focuses on refining student ability to identify which process is required to solve a mathematical problem. Students will be able to apply mathematical processes to solve problems presented to them. Apply place value to partition, rearrange and regroup numbers to at least 10,000 to assist calculations and solve problems (ACMNA053). Recognise and explain the connection between addition and subtraction (ACMNA054). Recall addition facts for single-digit numbers and related subtraction facts to develop increasingly efficient mental strategies for computation (ACMNA055). Recall multiplication facts of two, three, five and ten and related division facts (ACMNA056). Represent and solve problems involving multiplication using efficient mental and written strategies and appropriate digital technologies (ACMNA057). Syllabus outcomes: MA2‑1WM, MA2‑2WM, MA2‑3WM, MA2‑4NA, MA2‑5NA, MA2‑6NA. 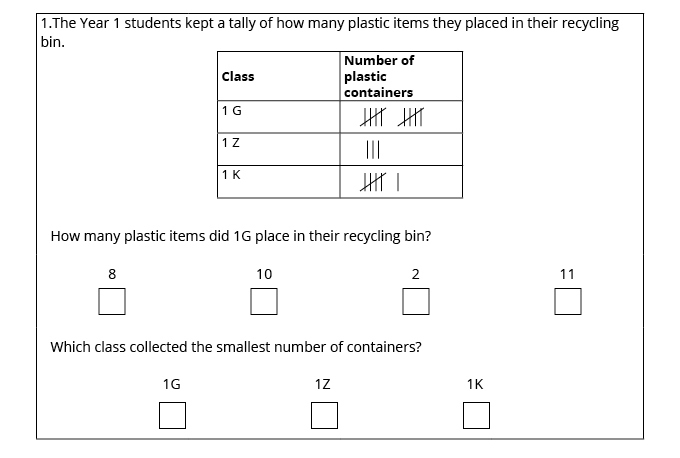 Relevant parts of Year 3 achievement standards: By the end of Year 3, students recognise the connection between addition and subtraction and solve problems using efficient strategies for multiplication. They recall addition and multiplication facts for single-digit numbers. Students correctly count out change from financial transactions. They continue number patterns involving addition and subtraction. Level of teacher scaffolding: Medium – some students may require teacher support. Keywords: Sustainability, recycle, reduce, reuse, landfill, plastic, paper, cardboard, aluminium, steel, glass. Students can determine whether to add, subtract, multiply or divide to solve a problem. Students can solve simple mathematical equations. What did you do well in your maths today? What maths skills are you going to practise more? Did you learn anything new about recycling today? 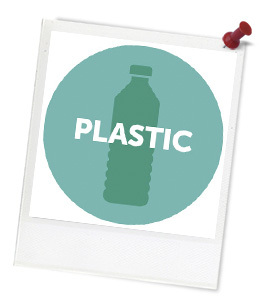 Are you going to change anything you do because of what we learnt about recycling? Do you think that your school recycles as much as Blue Bay Primary School? Do you think your school could do anything differently?